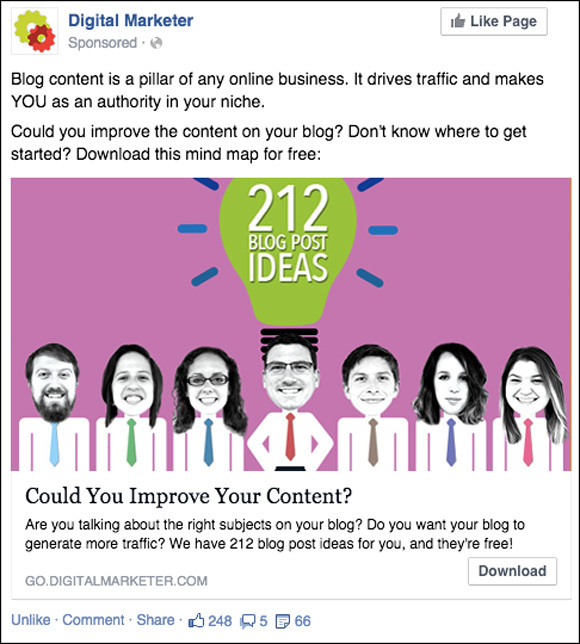 You don’t have to be a professional graphic artist to design Facebook ad images that CONVERT! 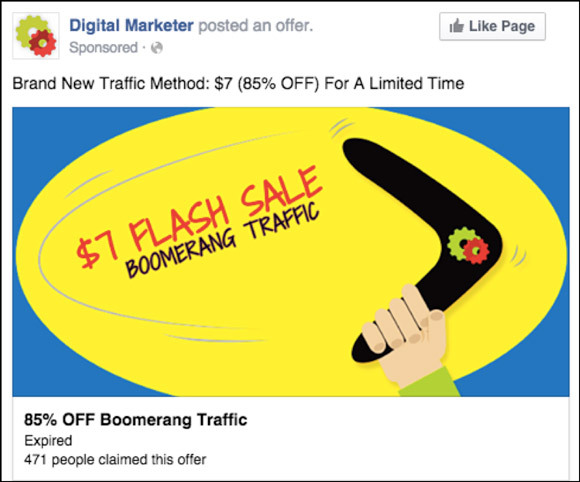 I’ve designed 100’s of Facebook Ad images for Digital Marketer and, in this article, I’ll share Digital Marketer’s method for creating successful Facebook ad images… AND … a tool that creates these images with just a few clicks of your mouse. … and communicate the answers to these questions in your image wherever you can. 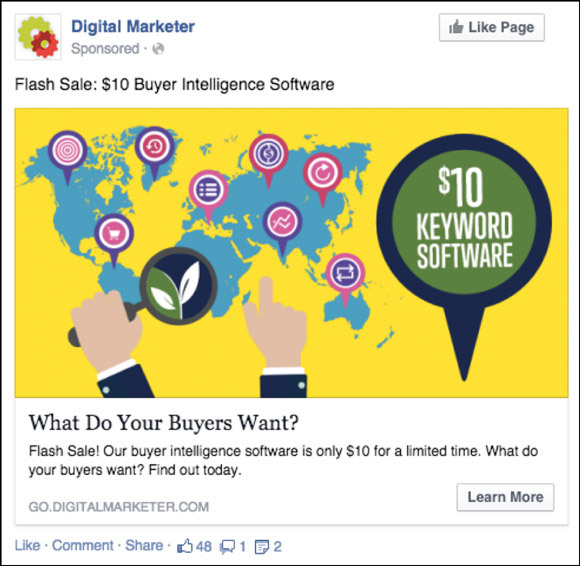 An effective Facebook ad image is much more than just a pretty picture. A good image will weave in the marketing message as much as possible. 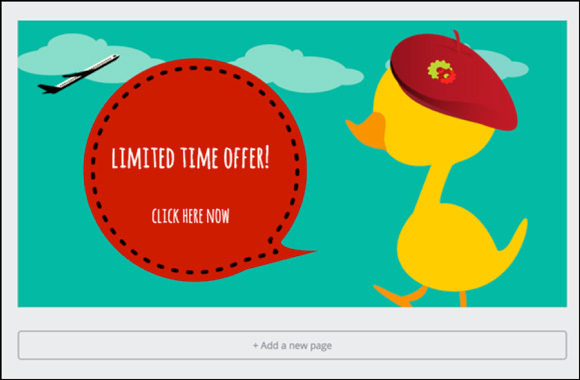 For example, here are the Facebook ad images for a flash sale on a software product called Fresh Key. 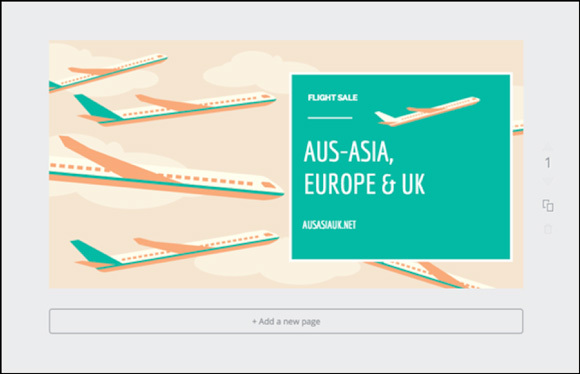 Because Fresh Key is a keyword research tool that helps business owners figure out what their customers want — we communicated that benefit with the image using the map and magnifying glass. We also wanted to conceptualize “keyword software” so we incorporated a hand “searching” on a computer. Including the FreshKey symbol inside the magnifying glass was a nice subtle touch to brand the ad. 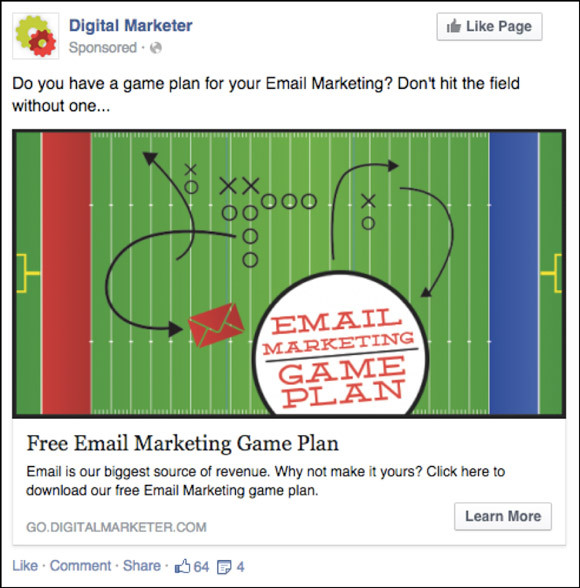 In this example, we tied in the idea of a “Game Plan” as we were offering an “Email Marketing Game Plan”. This image catches your eye because of the contrasting colors of purple and green. The choice of a white font contrasts with the background and helps to bring it all together to make the ad POP. Also, having the call to action in the light bulb coming out from the center helps direct your eye where to go. Access ‘The Ultimate Guide to Facebook Targeting’ Now. Zero in on your target market and maximize Facebook advertising profit. 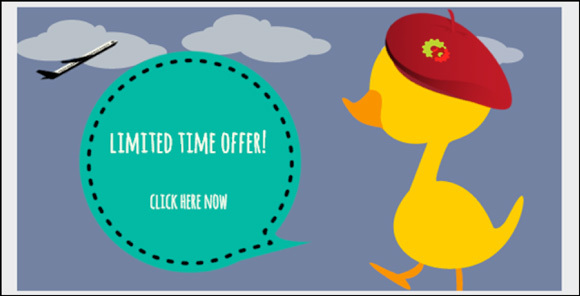 The perfect place to add a call-to-action or a few important words is on the image. 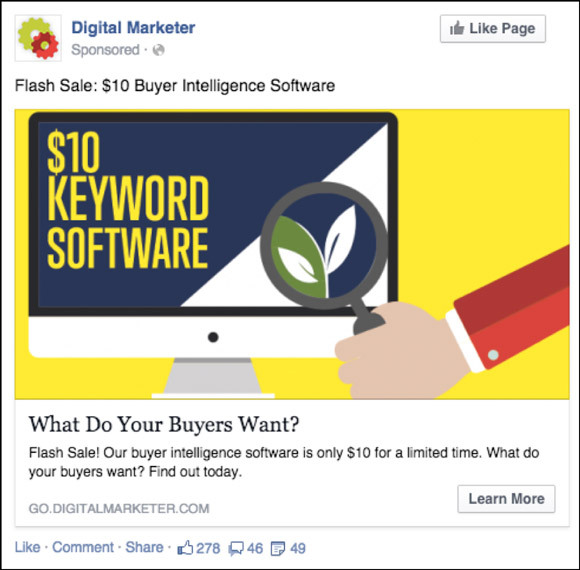 Some people won’t read the ad copy as they scroll through their newsfeed – but they will look at your ad image. If you’re able to catch their attention and then add a bit of copy as a call-to-action or description of what you’re offering, you won’t have to solely rely on your Facebook copy to get a click. In this example, we were able to portray our message in the text on the image. This was a flash sale – only $7! We also wanted to spark curiosity by using the words “Boomerang Traffic”. Too many font choices will just be distracting from your overall message. In this image we stuck with 2 font choices max. It allows the message to be clear and easy on the eye. Notice the neutral brown wood colors we use, and how the white color makes it pop overall. Now that you understand WHY we create our Facebook ad images the way we do, wouldn’t you like to know HOW to create them? 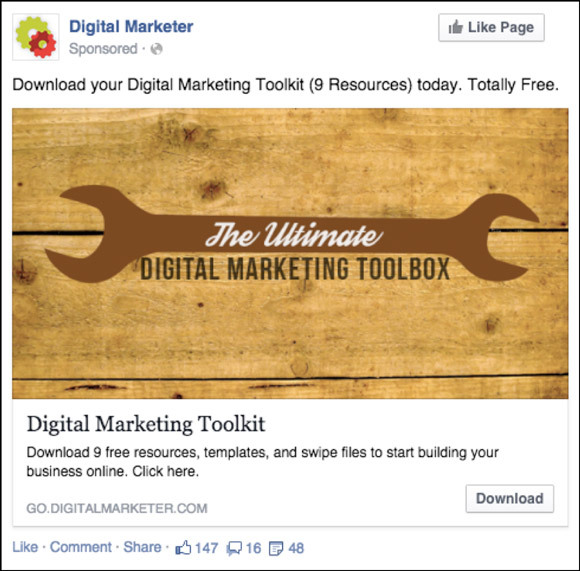 Below, you’ll find step-by-step instructions on how to create high converting Facebook ad images using a FREE drag and drop tool. 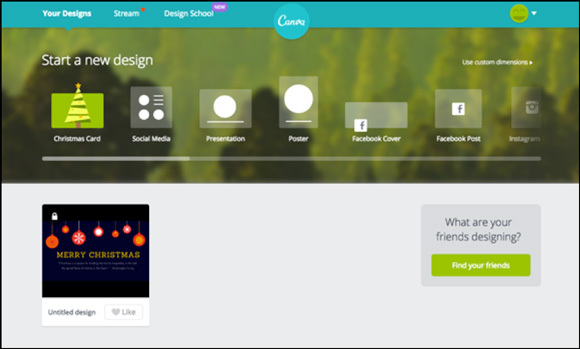 I’m going to show you how to use Canva. Scroll through the top, and pick a design/document format that you want to start with. 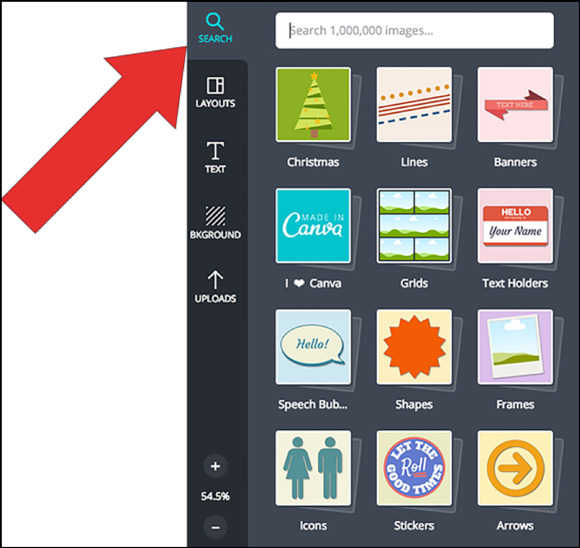 On the left hand sidebar, you have many FREE options of searching for an image, layout, background, text, and there is even an option to upload your own images, logos and/or background. Start Editing! You can now customize your chosen image to make it fit your brand. 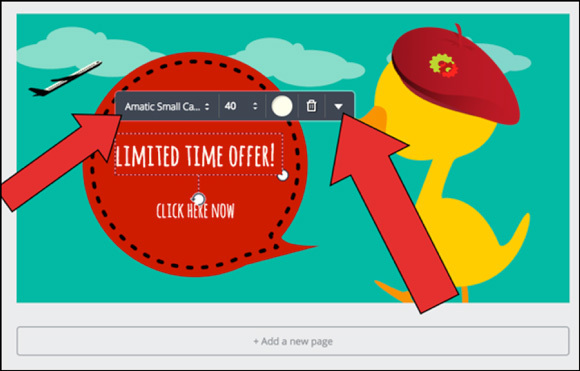 In the examples below, I will show you how can click on any text box, shape, and/ or background image and there will be a pop-up menu option for each element. When you click on search on the left hand side bar, this option has MANY free options to choose from (shapes, arrows, borders, banners, lines, icons, etc.) These are a great asset and could turn any regular image into more of an “ad”. Now it’s time to customize and make the image more “branded”. NOTE: Be cautious of using a Facebook blue background, it will most likely just blend in. You can see when I click on the text box and other elements, a menu will be available to change the colors, rotate the text, change the font, font size, and there’s another drop down menu for more detailed options. 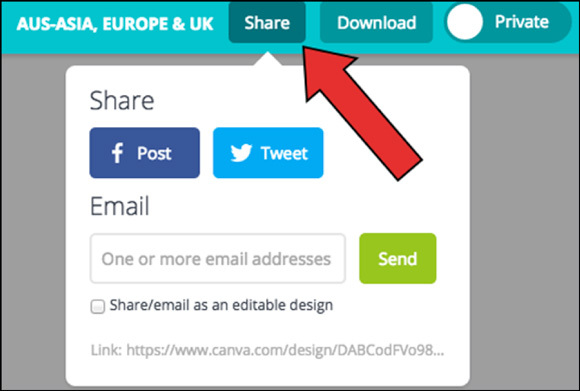 Now that you have finished customizing your ad, you can upload/share it to the world by clicking share at the top right! 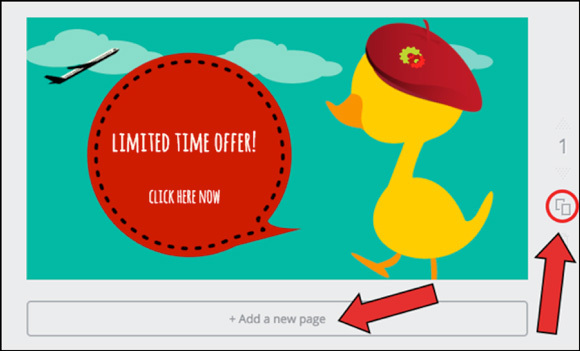 Or if you want to make another ad for your campaign, click “Add a new page” below the image. You can also copy the ad you just created by clicking the “copy” icon to the right of the image. This is helpful so you can make multiple images of the same concept for an ad campaign and make subtle changes for testing purposes. Not only do you now understand the characteristics of a successful Facebook ad image, you can now create them for FREE with no design or technical skills. How’s that for a low barrier to entry? Remember… successful Facebook campaigns are all about putting the right MESSAGEin front of the right PEOPLE and backing it with the right OFFER. So, go – create your images and let me know if you have any questions in the comments below! Article was kindly borrowed from www.digitalmarketer.com Visit it for more interesting information.